Uh, for some reason there was no Skins episode on BBC last night. I was heartbroken...until I turned to PBS and found that they were airing a series on the British monarchy called -- what else? -- "Monarchy". After reading The Uncommon Reader it was the perfect antidote to my withdrawal symptoms from my Anglophile fix due to the absent "Skins" (though not nearly as epicurean). This woman named Pearl who was invited to a garden party, with hundreds of other guests, at Buckingham Palace to honor her charity work was one of the chosen guests that got to actually meet and speak to the Queen. 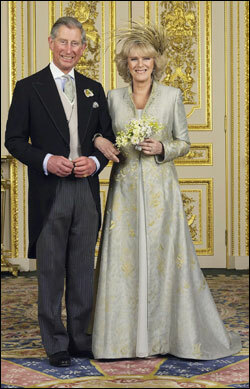 Afterward, she remarked to the camera that Her Majesty had the most beautiful porcelain skin. I remarked aloud, "That is exactly what Ozzie Osborne mumbled after meeting the Queen at her birthday concert!" I can't believe I knew that off the top of my head. The series was fun to watch. I liked when Camilla and Charles went to the organic cattle farm and interacted with the lay people so adorably. They looked like old hippies, actually. And also, I loved the part when Harry went to a meeting at his favorite charity, Sentebale. 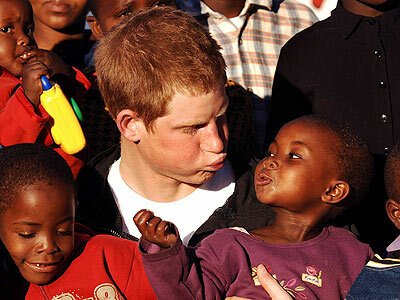 Harry is my favorite of all the Windsors. He's fun and valiant and my inappropriate crush. Plus, I like that he's a ginger head. The whole thing was fun, especially if you're a nerd like me and wild about the Windsors and all things British. The series will be running on PBS for a while so check your local listings.